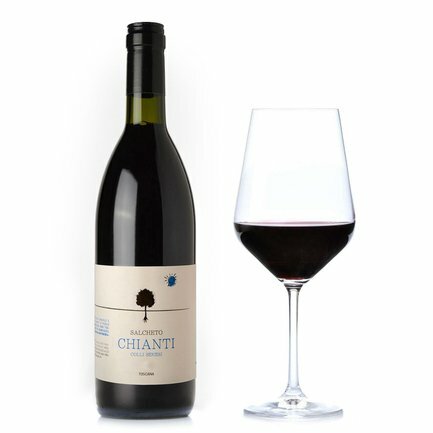 Vividly dense red colour, wonderful structure, unmistakable taste created by the blend of Sangiovese, Canaiolo and Mammolo grapes. These are some features of the Chianti colli Senesi DOCG 2012 by Cantine Salcheto, partly aged in American oak tonneaux. This wine is also notable thanks to its origin in vineyards which adapted successfully to the highly unstable climatic conditions of 2012. An outstanding "all through the meal wine", bringing out the best in every course. Salcheto focuses on continuous research and improvement year after year, being in harmony with its territory, and setting itself demanding standards of sustainability, quality and openness. Passion for wine and tireless commitment to continuous improvement are embodied in its magnificent wine cellars, which transmit the company's values to perfection.